The portrayal of Africa by mainstream media, particularly Western media, paints it as a dark, ugly, hopeless place that is ridden with civil war, militant groups, corruption, violation of freedoms, starvation, chaotic urbanisation and utter desperation. This gives people who have never being to Africa a false, misleading impression of the continent. Read the rest at Take a Look at the Africa the Media Never Shows You – How Africa. Nine miles from the town of Nantucket, this inn has “hands down the best location,” with views of Nantucket Bay and the Atlantic. Rooms in this “beautiful, classic New England” three-story gray-shingled cottage are done in antique pine with hand-stenciled finishes and warm tones. For “an extraordinary dining experience,” visit perfect-scoring Topper’s, where the modern American menu includes Hudson Valley foie gras. via The Wauwinet – Condé Nast Traveler. Since regulations prohibiting travel to Cuba were relaxed in January, U.S. travelers have been clamoring to visit—though trip planning takes some determination. Senior digital editor Laura Dannen Redman went step by step through the process with Traveler aviation correspondent Barbara Peterson, answering all the questions she—and you—might have. LR: I want to go to Cuba to cover the Havana Biennial, running May 22–June 22. I’m a journalist, so I fall under one of the 12 categories of U.S. traveler allowed to visit now. My dates are flexible. So…what should I do first? via Everything You Need to Know About Visiting Cuba – Condé Nast Traveler. Have an amenity that’s critical to your stay? According to our ombudsman, you should get written confirmation whenever you book a vacation rental. Q: My husband has difficulty with stairs, so when we reserved an apartment in Amsterdam through Hotels.com, we booked one with an elevator. (I even called to confirm that there was one.) Upon arrival, however, we learned that the only way to reach the apartment was by climbing five flights of stairs. When we confronted Hotels.com about this, they offered us a $150 voucher as compensation. Isn’t the mistake theirs, and shouldn’t we get back the $1,348 we paid for the apartment? –JoAnn H., Naples, Fla.
via The Golden Rule of Vacation Rentals – Condé Nast Traveler. 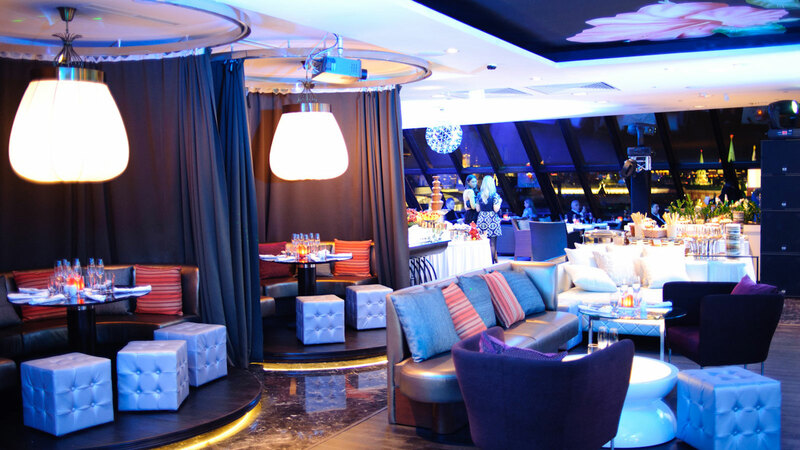 The Peninsula Shanghai opened in 2009 and offers an utopian level of luxury. Occupying a prime location with direct frontage on Shanghai’s historic Bund, The Peninsula’s flagship hotel is the first new building on the Bund in the last few decades. The intricately styled 235 guest rooms and suites have been designed to reminisce style from the glorious Art Deco era, incorporating an eclectic of traditional materials used in 1920’s Shanghai. Skyline views from the rooftop and Bund-facing rooms are breathtaking! via Hotel review: The Peninsula Shanghai (China) | the Luxury Travel Expert. The World’s Fair has given birth to some of the most visually memorable landmarks: Paris’ Eiffel Tower, Seattle’s Space Needle, St. Louis’ Gateway Arch. Now Milan, the site of this year’s Expo, has replenished its historic Darsena port. Originally envisaged in the thirteenth century, the Darsena was where cargo ships unloaded goods, right into the center of the city. During the sixties, a great deal of the Darsena was covered, and it has not received large boats or cargo since 1979. The Expo architects, Edoardo Guazzoni, Paolo Rizzatto, Sandro Rossi and Studio Bodin & Associés renovated the riverbanks with pedestrianized walkways, green areas, docks, gardens, and even an international market. Elsewhere around town, events abound. via What to Do in Milan During Expo 2015 | Fodor’s. Originally built in 1878, Mendocino Hotel & Garden Suites today proudly sits on the National Register of Historic Places as the city’s only remaining hotel from back when it was a logging trade port. Lovingly and meticulously restored starting in 1975, the property is filled with vestiges of its Victorian past; 90% of the antique décor is actually from the late-19th century, and the rest commissioned especially for the hotel (think stained glass and Oriental rugs). But don’t let the historic touches fool you; the amenities here are pure 21st-century modernity and convenience. 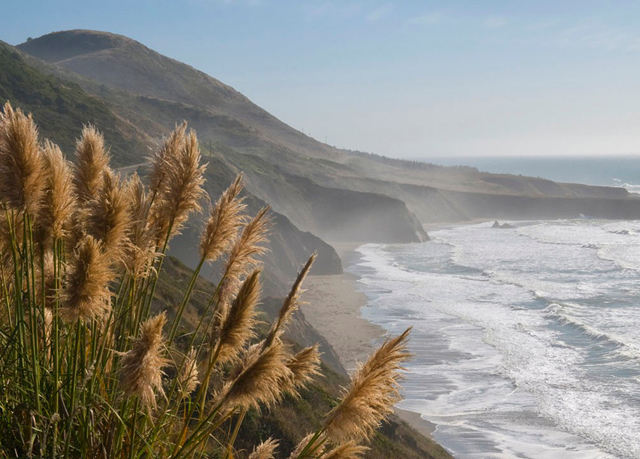 via Mendocino Hotel & Garden Suites | Save up to 70% on luxury travel | Secret Escapes. Each weekend, Daylight Beach Club transforms into a lavish entertainment venue – with a 1,400-square foot stage as the venue’s centerpiece – featuring the same world renowned DJs and musical acts that will provide the soundtrack at Light nightclub, complete with state-of-the-art lighting and sound. For its freshly pressed clubhouse at Los Angeles International Airport, Virgin Atlantic has called upon classically California themes: an apothecary-style bar peddling fresh-squeezed juices, a menu of “clean, healthy” dishes by L.A.’s Hinoki & the Bird, and golden design elements inspired by the sunshine and landscapes of the region. via Virgin Atlantic Unveils its New Clubhouse at LAX | Travel + Leisure. Starwood luxury hospitality group is maintaining strong growth momentum in Russia with the opening of the highly anticipated St. Regis Moscow Nikolskaya – the first hotel of Starwood’s Ultra Luxury Brand St.Regis. Located on Nikolskaya Street, which connects Lubyanka Square and Red Square, the hotel occupies one of the most prestigious buildings in the Russian capital. Originally constructed in the 1870s as the residence of Count Orlov- Davydov, The St. Regis Moscow Nikolskaya offers 210 spacious guest rooms and suites with belle époque interiors, an elegant tribute to the building’s heritage. 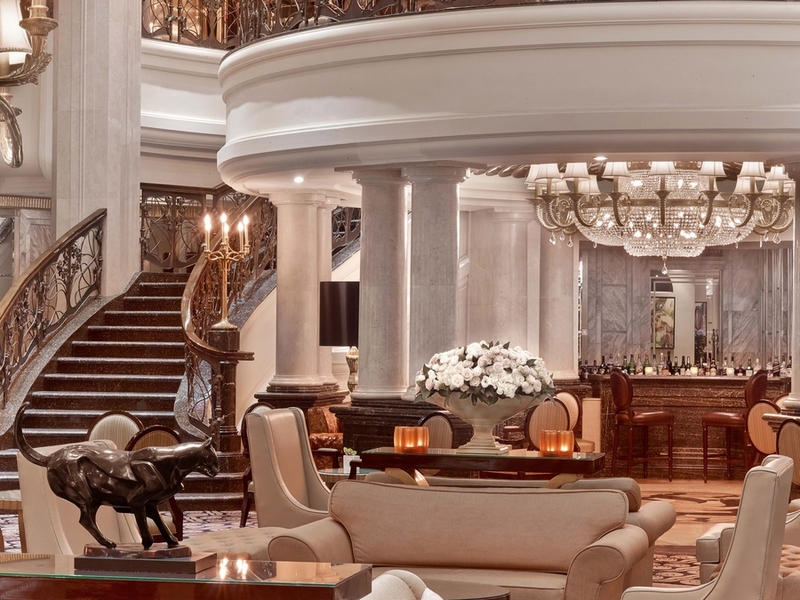 via Ultra luxury St. Regis introduced to RussiaLUXURY NEWS | BEST OF LUXURY | INTERVIEWS | EVENT CALENDAR.